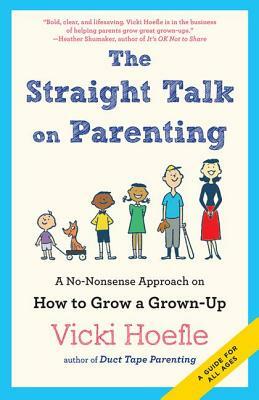 Vicki Hoefle is a professional parent educator, author, parent coach, and national speaker with over twenty years of experience teaching parents, educators, and caregivers how to raise respectful, responsible, and resilient children. Hoefle combines her expertise in Adlerian psychology and as an International Coaching Federation certified coach to bring parents sustainable and proactive parenting strategies that provide time-tested tools for harvesting a happy and peaceful family life. Hoefle is also the author of Duct Tape Parenting: A Less is More Approach to Raising Respectful, Responsible and Resilient Children (Bibliomotion, 2012.) Her informative and highly engaging presentation style keeps her in demand as a speaker, facilitator and educator. Hoefle is a mother of six and lives in Middlebury, Vermont.